A milestone is a goal you set for each project so by a certain date the tasks associated with it will be completed. 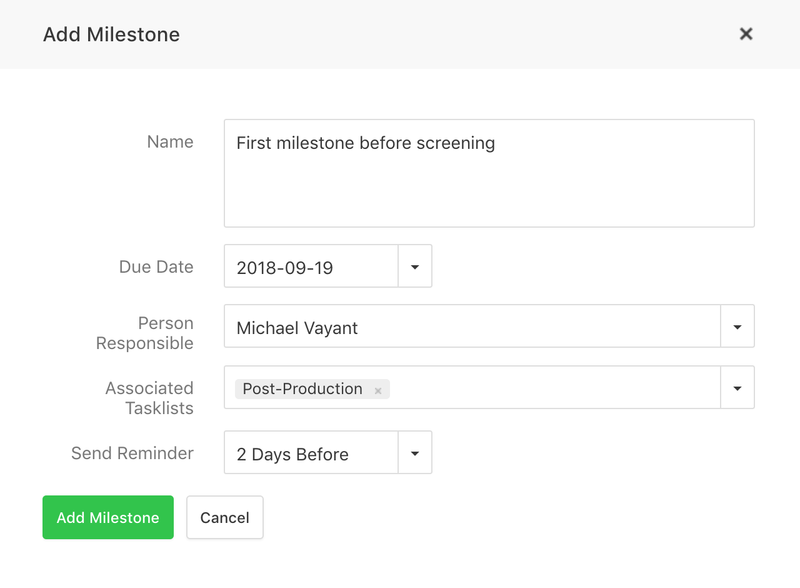 In order to create a milestone you need to go to the desired project → Milestones → Add milestone and set a name, due date, the person responsible, the associated task lists and set a reminder if you wish to. This way the assigned user will be notified about the upcoming milestone and make sure the associated task lists will be completed. If the task lists are greyed out, it means they're already associated with an existing milestone.